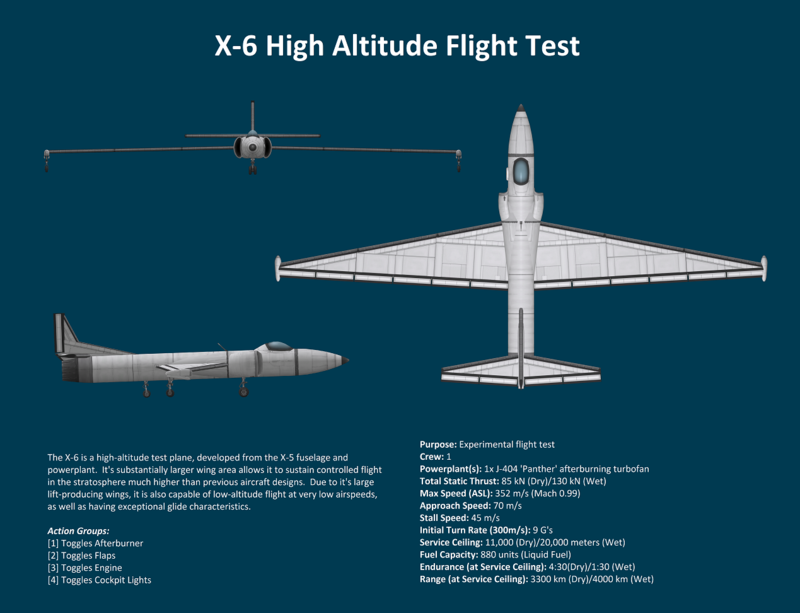 The X-6 is a high-altitude test plane, developed from the X-5 fuselage and powerplant. It’s substantially larger wing area allows it to sustain controlled flight in the stratosphere much higher than previous aircraft designs. Due to it’s large lift-producing wings, it is also capable of low-altitude flight at very low airspeeds, as well as having exceptional glide characteristics.